Private Medoc Wine Tour Includes: This Medoc wine tour includes private transportation, guide service, entrance and tasting fees. Note: Order of sites visited may vary depending on departure point. Chateaus mentioned in the tour description may not be available at the time of booking. Some estates only admit a very few number of participants at certain times of the day while others have closing days or only take advanced reservations. Let Well Arranged Travel take you on a private Medoc wine tour. Medoc produces some of the most renowned red in Bordeaux and offer some of the best wine tasting tour opportunities in France. On this customized Medoc wine tour, you will get to sample wines in some of the region’s classic vineyards and castles. 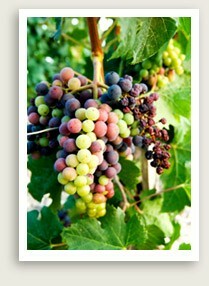 In the morning, you can choose a selection of famous chateaus to visit for a wine tasting tour. The choices here are many, but your guide can pick a place for you with your input. For example, Chateau Agassac, a castle straight out of a fairytale, offers a range of imaginative tours, from a wine and chocolate pairing to an outdoor tour designed to teach visitors about wine making and the property’s history in a fun and interactive way. Your Medoc wine tour may also include the lovely Pontet Canet with its 18th century vat room and newly appointed horses to help cultivate the vines. Your Medoc wine tour also includes a visit to the town of Pauillac, another famous wine locale boasting 18 different grand cru classifications, in time for lunch. Here you will visit another famous castle and vineyard; test your wine palate and see if you can taste the difference from the morning’s tasting. Your Medoc wine tour concludes with a tasting session at La Winery to discover your “Wine sign.” La Winery doesn’t make wines on the premises; rather, it offers some 2,000 different products from all over France so you don’t have to travel to taste them. You can then enter your favorites into a computer to find out your wine sign –Trendy, Eternal, Sensual, Aesthetic, Gourmand or Forceful. This is a fun way to conclude a delicious day of wine-tasting in the Bordeaux region.